Church Soundproofing requires special attention and knowledge to the nuances of voluminous spaces & hard surfaces, especially in the new architectural designs. This excessive space allows for significant reverberation, also known as echoes. Reverberation can reduce the speech legibility and can make otherwise good church sound systems sound awkward. The complex nature of noise control and acoustical solutions for these problems require expert knowledge which All Noise Control has. There is a difference between noise control or sound control and “church acoustics”. Our experts realize that simply absorbing excess sound is not the simple approach for church acoustics. Noise control solutions ideally need to be configured by All Noise Control technicians to provide the proper solution. Many contractors installing these systems may not realize that reverberation time ideal for music can make the spoken word challenging to understand. 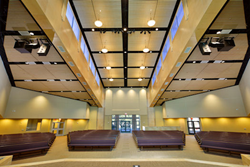 The structural differences between these spaces and their contents make custom acoustic solutions for your project necessary, not to mention the aesthetics in the typical Church / House of Worship. 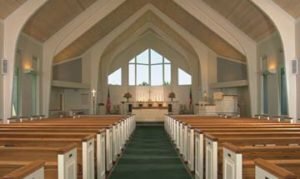 There is no one size fits all for church acoustics, and All Noise Control can help you outfit your environment with perfect harmony and balance that is demanded of church acoustics. 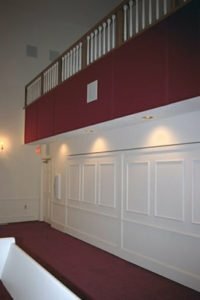 Creating attractive acoustical Wall Panels that can withstand the unique conditions of the Church. We recommend you call to discuss with one of our Soundproofing Specialists, you may review the list of products we do customize to solve acoustics. Church soundproofing products can be installed during construction of a new church, during remodeling or for retrofitting an existing with products that can “float” on walls and ceiling to help make the ideal sound control solution attainable. 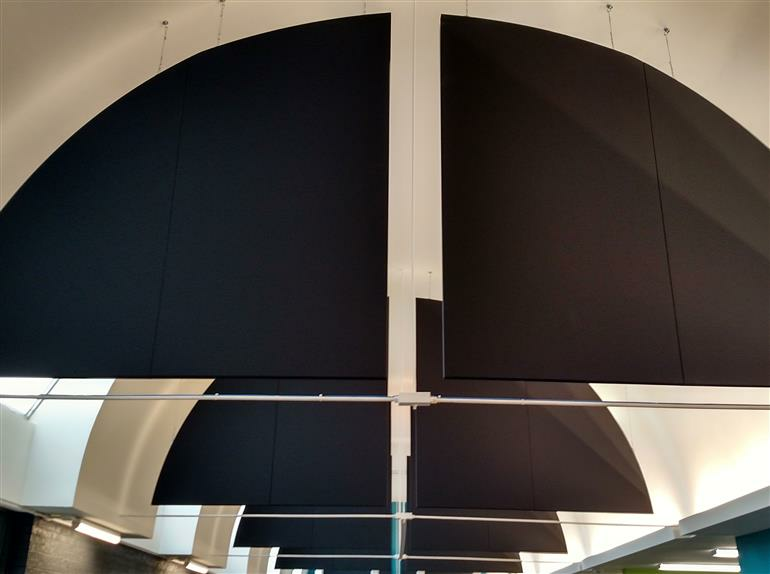 Through a full range of sound absorption products, we can solve all your sound control needs. Houses of Worship Noise Control & Soundproofing Solutions. 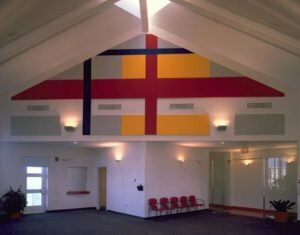 Church Echo – Worship Halls are enormous spaces with wast angular ceilings noise reverberations in large areas like these is a common problem, the acoustics within your church interiors play a key role in a successful and satisfied congregation. As the background noise builds due to the echo within A Church, the clarity of sound and music is compromised. Thus, leaving people straining to hear, the solution to these problems lies in All Noise Control Sound panels that can be placed in a room all around to capture and convert the unwelcome Echoes, resulting in the collapse of background noises, and Greater clarity to original sound is restored.